Dozens of Bay Area businesses received inspection notices from Homeland Security this week indicating their hiring records will be audited to determine compliance with U.S. immigration laws, a department source confirmed to NBC Investigations. Kris Sanchez reports. Dozens of Bay Area and Sacramento businesses received inspection notices from Homeland Security this week indicating their hiring records will be audited to determine compliance with U.S. immigration laws, a department source confirmed to NBC Investigations. The actions reflect the Trump administration's increased efforts to enforce the laws that prohibit businesses from hiring illegal workers, its focus on protecting jobs for U.S. citizens and others who are lawfully employed and strengthening public safety and national security, according to ICE. Special agents with Immigration and Customs Enforcement served I-9 audit notices to 77 businesses throughout the Bay Area and Sacramento area Monday through Wednesday. The notices alert business owners of an inspection of their records, and employers are required to produce their company’s I-9s within three business days, after which Homeland Security will conduct an inspection for compliance. ICE Acting Director Tom Homan has indicated he would be directing Homeland Security to step up worksite enforcement to include conducting more I-9 audits in pursuit of more criminal investigations. Last month, ICE targeted 100 7-Eleven stores across the country and served audit notices in 17 states, including California. Twenty-one people suspected of being in the country illegally were arrested, The Associated Press reported. Derek N. Benner, a top ICE official, said at the time that the operation was "the first of many" to come. 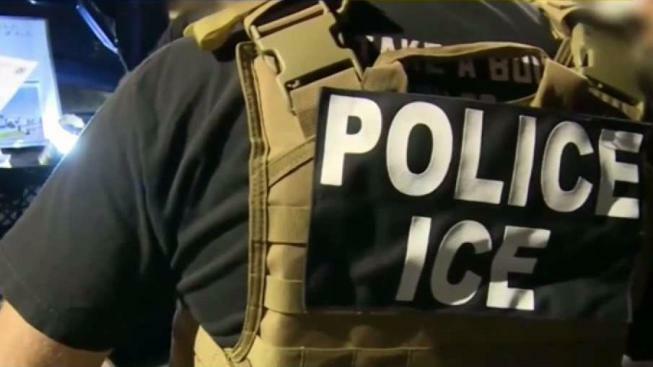 Pratheepan Gulasekaram, a professor at Santa Clara University School of Law, said that the raids appeared to be in retribution for California’s decision not to cooperate with other federal enforcement efforts. So many I-9 audits served in such a short time suggests that Department of Homeland Security is trying to undermine the ability of immigrant-friendly places like San Francisco to continue its actions, he said. “Their crackdown, not just in this area, not just in employer audits, but across the board, has been in those places where they think that these jurisdictions are pushing back against them. This fits into that general trend,” he said. Employer audits are not new, he noted. They were the preferred method of enforcement under the Obama administration. The question is whether this particular use of audits suggests something more politicized and unethical about the use of enforcement resources, he said. A vindictive use of resources, a politicization of enforcement, fails to serve justice or keep communities safe, he said. Homan, the acting ICE director, has specifically called out California over a new law that strictly limits the cooperation of local law enforcement with federal immigration authorities when they are booked into jail for other reasons. "California better hold on tight," he told Fox News on Jan. 2. "They're about to see a lot more special agents, a lot more deportation officers in the state of California. If the politicians in California don't want to protect their communities, then ICE will." And at a speech to hundreds of law enforcement officers in San Antonio this week, Homan argued that sanctuary cities endangered federal officers because they forced agents to make arrests in homes and workplaces rather than in places such as state jails, according to the Washington Examiner.